Asbestos was used extensively in older homes for many years before its dangerous effects were identified. Many older homes can hide this cancer-causing material in many different building components. KV Tech Construction can inspect, sample and test for asbestos prior to making renovations to or before selling your northern Wisconsin home. Asbestos is a fibrous mineral (either amphibole or chrysotile) that was used for fireproofing and insulation in many everyday items, including fireproof fabric, brake linings, and household materials. These fibers can break off and become airborne. 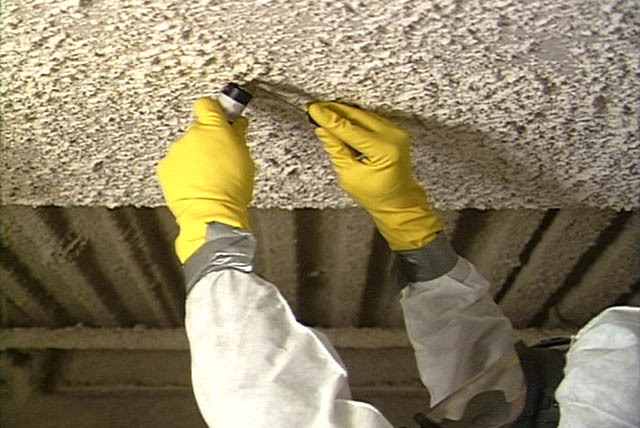 Exposure to asbestos has been linked to asbestosis and cancer. For additional information see the Wisconsin Department of Natural Resources frequently asked questions page here. The inspection team at KV Tech Construction will review possible locations of asbestos products in your home, collect samples and provide testing results from an independent laboratory. If the tests indicate the presence of asbestos, Wisconsin regulations require that a licensed abatement contractor be used for asbestos removal prior to any demolition or renovation project. Our team can assist with any paperwork and coordinate with the asbestos abatement contractor to ensure your home meets state safety standards and the asbestos is removed completely before we proceed with your home construction project. Unsure about the presence of asbestos in your older northern Wisconsin home? Contact us or call (715) 765-4483 to schedule an asbestos inspection. Don’t let asbestos harm you and your family. Trust the KV Tech experts.